The ability to make effective arguments is not only necessary in students’ academic lives, it’s a transferable skill essential to students’ future success as critical thinkers and contributing members of society. But how do we engage students and ensure they understand argument writing’s fundamental components? This book shows the way, with ready-to-implement lessons that make argument writing topical and relevant. Students form arguments about subjects of interest, and then reflect on the arguments’ organization, giving them reusable structural models. 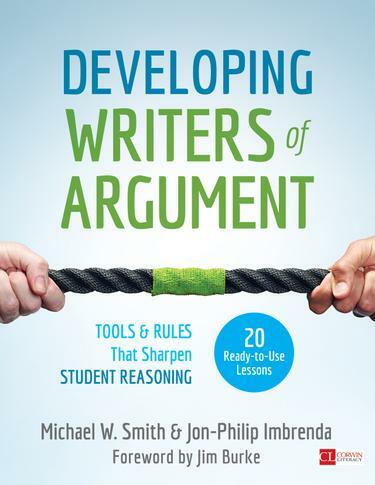 Complete with guidance on applying the lessons’ techniques in a unit-wide context, Developing Writers of Argument offers a practical approach for instructing in this crucial aspect of students’ development.